1: iSoaker.com Site put into stasis mode during North American 'off-season'. Many aspects of the site are to be upgraded off-line. However, the iSoaker.com Forums will be kept running and only the site will be in stasis until 2006. 19: Attention Super Soaker enthusiasts! Tune into the USA Network this Wednesday, September 21st @ 10 PM/9 PM Central to watch Supersoaker creator Lonnie Johnson appear as a guest expert. Watch Lonnie offer personal advice and insight to aspiring inventors and share stories on how he launched the Supersoaker. If you're fan of the Supersoaker, a fan of invention or just a fan of great television, this series is not to be missed! WEDNESDAY, SEPTEMBER 21ST @ 10 PM/9PM CENTRAL tune in info. USA Network presents a new, groundbreaking reality show, MADE IN THE USA, where America’s undiscovered inventors and entrepreneurs will compete for an unparalleled chance of a lifetime to sell their invention on Home Shopping Network (HSN). MADE IN THE USA, a six-episode, hour-long reality/competition series, premieres on Wednesday, September 14 at 10pm ET/PT on USA Network. Contestants will participate in competitions, facing real-life challenges that inventors deal with in getting their product out to the public. Contestants and viewers alike will also get an exclusive behind the scenes look at the HSN empire and the creative and talented HSN employees that facilitate this dream. Each week, products and inventors will be eliminated until the ultimate payoff when one lucky inventor team wins a contract with HSN. MADE IN THE USAishosted by Todd Newton (E!’s “Coming Attractions,” “Talk Soup,” “E! NewsLive”). Newton is joined by a cast of eclectic characters who will preside over the competition and judge what invention the viewers will ultimately choose for the opportunity to sell on HSN. The judges for MADE IN THE USA offer vastly different aspects to evaluating each invention for specific selling points. Joy Mangano, multimillionaire inventor of “The Miracle Mop,” epitomizes what this show is about: she is the American dream-come-true after having started with nothing but an insatiable entrepreneurial appetite and an inventive spirit that led to her successful inventions. Nolan Bushnell, otherwise known as the "Father of the Video Game Industry," is best known for inventing "Pong" as well as founding two billion-dollar franchises, the Atari Corporation and the Chuck E. Cheese restaurant chain. Karim Rashid is an industrial design expert and trendsetter who, having designed for Umbro, Prada and Artemide, offers a perspective on consumers’ obsession with aesthetic value – style, design, packaging, color and logos. 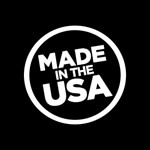 MADE IN THE USA also will feature guest experts rocket scientist Lonnie Johnson (inventor of the Supersoaker), the flamboyant and opinionated Robert Verdi (host of E! television’s “Fashion Police”), PR guru Rachel McCallister and music legend Patti LaBelle. The experts are on hand to lend insight into what it takes to launch a successful product, offer style critiques to contestants and explain the role it plays in creating a lasting first impression, teach the importance of “image making” in pushing a brand and how to infuse personality into the selling equation. MADE IN THE USAis created and executive produced by Ken Mok (UPN's “America’s Next Top Model”). Effective September 15, photos for MADE IN THE USA, as well as all USA Network projects, will be available on NBC Universal’s Media Village at www.nbcmv.com. Until then, photos can still be accessed on the Universal TV digital pressroom at https://universaltvpressroom.com/. USA Network is cable television’s leading provider of original series and feature movies, sports events, off-net television shows, and blockbuster theatrical films. USA Network is seen in over 89 million U.S. homes. The USA Network Web site is located at www.usanetwork. USA Network is a program service of NBC Universal Cable a division of NBC Universal, one of the world's leading media and entertainment companies in the development, production, and marketing of entertainment, news, and information to a global audience. HSN, an operating business of IAC/InterActiveCorp (Nasdaq: IACI), originated the electronic retailing concept in 1977 and has since evolved into a global multichannel retailing giant, offering thousands of unique products in fashion, beauty, home, jewelry and electronics. Customers who shop on HSN can find name brands such as Sony, Kodak, Gateway Computers and Wolfgang Puck Bistro cookware, as well as fashions from Nicole Miller, Nine West and Etienne Aigner. HSN’s product offerings can be found across a number of retailing platforms ranging from TV, where HSN reaches 87 million U.S. households and is now the 4th largest cable television network in the U.S.; the Internet, through its easy-to-use Web site, www.hsn.com; and catalogs, with its Cornerstone Brands portfolio of titles including Ballard Designs, Frontgate, Garnet Hill, Improvements, Smith and Noble, The Territory Ahead and Travelsmith. In 2004, HSN generated worldwide consolidated sales of $2.4 billion, answered 66 million calls and delivered 50 million packages worldwide. 15: Slowly beginning to upgrade the iSoaker.com Product Gallery. This will be an ongoing project for the next several months as the entire iSoaker.com Current Holdings are being re-photographed in higher resolution and new images being pushed up in greater detail. Presently, most of the 2005 products have been posted, but in time, older soakers will have their images redone as well. 7: New storage pictures by Wild Boys posted in the Gallery. 5: "Why do I soak?" Multiple writing compositions on why various individuals enjoy soaking/water warfare. 24: Beginning the site-revamp. Page header and some internal graphics upgraded. More articles being worked on as well as changes made to the iSoaker.com Forums. Submitted review on the SS50 posted as well. 10: Submitted pictures and review posted on the SS20. 1: Happy Canada Day! Go soak a Canuck! Submitted review of the CPS 2000 posted. 19: Repost of the CPS2000 Mk1. vs Mk2. review originally from Techsoaker. 6: Submitted reviews on the Super Soaker Arctic Shock, Super Soaker Aquapack Devastator, and Super Soaker Max-D 6000. 5: Water Warriors Xenon review posted. Also fixing various bugs and mistakes site-wide. 29: Submitted reviews on the Max-D6000 and CPS 4100 posted. 25: Submitted reviews on the Water Warriors Blazer, CPS 2500, and CPS 2100. Also limited reviews (more pictures as opposed to full stats and/or performance ratings) posted for some old classics: the SS 10 and SS 20. 22: Submitted review on the Water Warriors Krypton posted. 20: 2005 iSoaker.com Contests announced. See the iSoaker.com Forums for more details. 18: It's not that there has been a lack of updates these days, rather a lack of updating this page. Many changes have been occuring in the iSoaker.com Forums. As well, warmer, sunnier weather will hopefully permit some range testing to be done on the 2005 soaker lines. The Product Reviews pages have been reformatted for better clarity and faster browsing times. In other areas, many articles are being re-organized and revamped, but that process will continue for some time. There will also be some new reviews coming soon as well as more images. Summer cometh and we are prepping for it. 29: Blaster Review pages getting a layout/design makeover. While the 2005 Blaster Review feature the most pronounced changes, all Blaster Reviews have been affected by layout changes which should improve both readability and page-load times, particularly noticable for those on lower bandwidth connections. 24: A more subtle change: Blaster Inspectors have now been split from the review pages and, instead, are launchable through a pop-up window link. This was done to increase general review page load time, but still offer the additional images for those interested. 22: Super Soaker Triple Shot and Water Warriors Hydra Pak reviews posted. 21: Submitted reviews of the Super Soaker Flash Flood and the Super Soaker SC:Big Trouble posted. 9: Submitted reviews of the Super Soaker CPS4100 and Water Warriors Glo Blaster posted. 7: Super Soaker Arctic Shock review posted. 2: Submitted reviews of the Super Soaker Flash Flood, Water Warriors Gremlin, and Water Warriors Firefly. 31: Submitted review of the Super Soaker Triple Shot posted as well as some submitted images. 30: Review of the Super Soaker Flash Flood posted. As well, recently acquired the Super Soaker Triple Shot and Water Warriors Krypton. 27: Due to the domain name registration issue noted below, SSCentral.net has been frozen. After discussions between the powers that be at SSCentral, it appears that a domain name change has now been decided, with the new working URL now being SSCentral.org. The reasons behind this appear many-fold including limitations with their current server, ownership of the URL, etc. However, the site does appear to be back online though some glitches will need to be ironed out there in the next little while due to the domain name switch. Good luck to them on getting back on track! For those who run soaker sites, please redirect your links to the new .org address. Soak on! 23: Submitted review of the CPS1000 posted. 20: First day of Spring and first update in awhile. Life and soaker-related, but non-iSoaker.com related, activities have been keeping me from updating more often. However, for those who frequent the forums, many developments are in progress. First off, the first review of the 2005 Super Soaker line: the Aquapack Devastator. Currently working on a full review of the Flash Flood. As well, a new Downloadables page has been created for various downloadable content being made available here at iSoaker.com. In Soaker Network news, it seems that SSCentral has gone offline, though not intentionally. Actually, the site remains active, but the domain name registration had expired. At present, SSCentral can be found at: http://69.56.244.162/~sscentr/forums/. Hopefully they'll get things back up and running under the appropriate domain name soon. 6: Re-organizing the way information is presented on iSoaker.com, particularly for all the Articles. The links to Players Info/Tips and Teams Info/Tips have now been divided differently. Players Info/Tips and Teams Info/Tips links now point to summary pages to give those unfamiliar with things a more organized summary of some of the articles available on iSoaker.com. However, on the side menu, additional links to list all related Articles related to either Players or Teams has been added for those who want to be able to browse all the articles under a particular category. Meanwhile, a large number of pages in different sections of iSoaker.com have been edited, removing some mistakes and updating various information, imagery, etc. Consider this pre-Spring cleaning! 3: Submitted review on the Water Warriors Aqua Masters Pre-Charger Xenon has been posted. Also, a submitted article entitled The Art of Concealment has also been posted. Various unseen code fixed sitewide. Printable Versions of all pages should now display as intended. 26: Site tweaks abound from the new graphics in the side menu to the subtle changes done to the header region. As well, submitted reviews on the Super Soaker Arctic Shock and Flash Flood as well as the Water Warriors Aqua Masters Pre-Charger Krypton have finally been posted. 16: Forgot to mention the uploading of a couple of things. The first in an article entitled Opinionary and Review. The second is a fan story entitled Water War 5. Enjoy! 9: Happy New Year 2005! Ok, this update is 8 days late, but things have been hectic in real life. The news so far: 2005 looks to be a promising year for the true soaker-phile. Some initial reports on the 2005 Super Soaker line as well as info regarding the 2005 Water Warriors line have began to circulate. It should be noted that the 2005 Water Warriors line has apparently been available in places such as Australia and New Zealand for their summer season (i.e. starting ~ November, 2004). "I purchased the new Super Soaker Triple Shot and the new Super Soaker Flash Flood. Both seem to work really well. The Triple Shot holds 17oz of water and you can rotate the the front nozzle to choose a regular beam (which is probably 2x), or a 5x beam which is surprising for a soaker this size (its rather small), or a fan blast like that of the Secret Strike. The Flash Flood is based upon CPS technology and produces a stream much like the Splashzooka, but holds 40oz of water. On top is a lever which can be pulled back to unleash the Flash Flood which is basically a riot blast that only last a second and only goes about 10ft. But both soakers have good range on regular setting. I plan to purchase the other new soaker called the 'Arctic Freeze' or something like that which allows you to shoot cold water by freezing a special core then placing in the soaker or adding ice cubes." 5th dimension--4 piston action guns that can be assembled into a larger "5th unit"
On top of that, assuming things go well, I have some major plans for iSoaker.com this year. However, as the snow is still falling and soakers just aren't available here, yet, for review, updates will remain slower than normal. As always, Soak on!